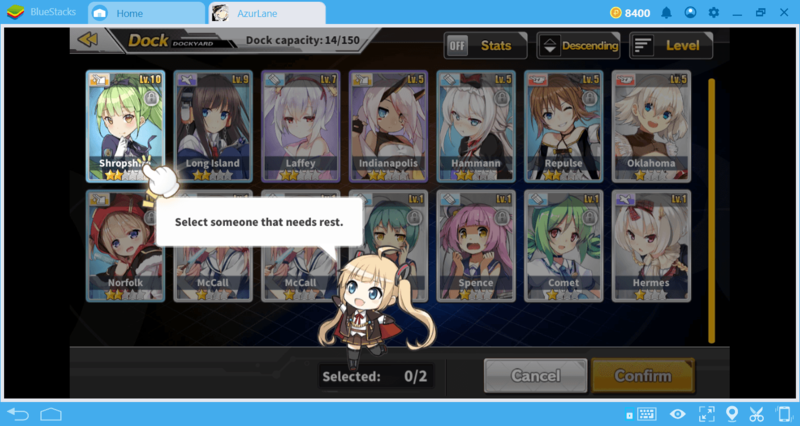 As with most games, Azur Lane’s real activities begin in the late-game phase. When you reach the last level, you can start enjoying all the features that the game offers you. But the things you do during this process are usually the same, so if you don’t play efficiently, you can get bored in a while. 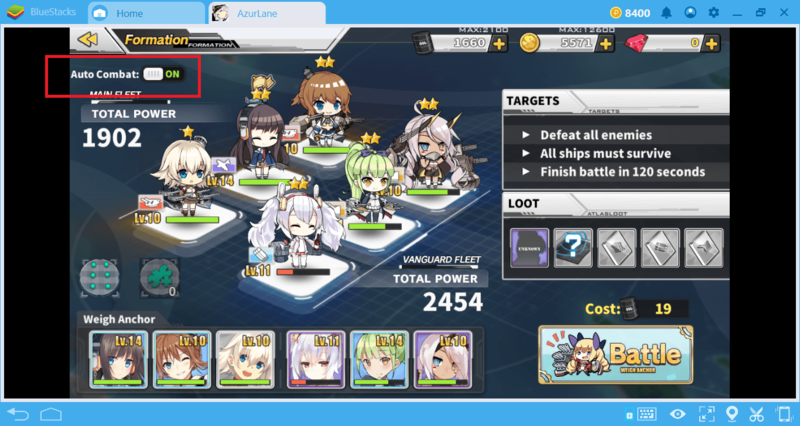 That’s why we prepared this guide: By learning the ways to level up faster on Azur Lane, you can shorten your late-game journey and start taking advantage of all the features of the game in less time. 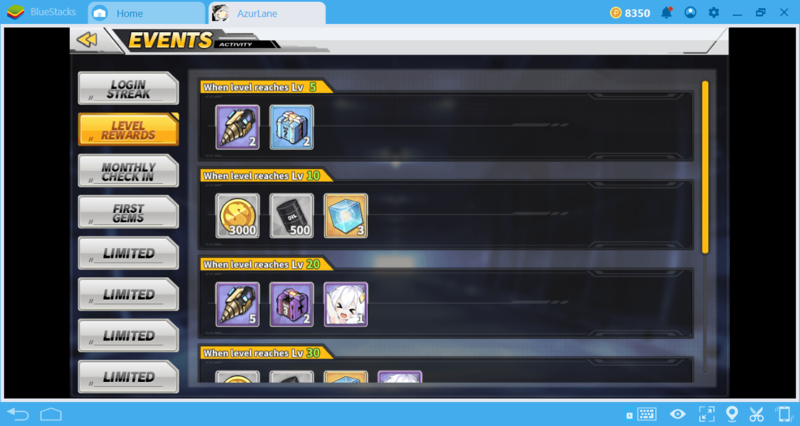 As you might have guessed, main story missions are the main XP source for in Azur Lane. The game has a total of 48 missions and it takes an average of 10-15 minutes to complete each. (If you have to repeat a mission, of course it takes longer.) So you can complete all tasks within 10-12 hours according to how often and long you can play. For each mission you complete, all ships in your fleet earn XP points. Not just your ships, you earn XP points too. These increase your “commander” level. To turn on some features in the game, you need to upgrade your own level first. For example, in order to join a guild, you have to be at least level 10. So, the first thing you should do is to complete the main story missions without a break. The XP points you earn won’t change, but your ships’ scores may be different. At the end of each mission, one of your ships is selected as “MVP” and earns XP points twice as much as other ships. 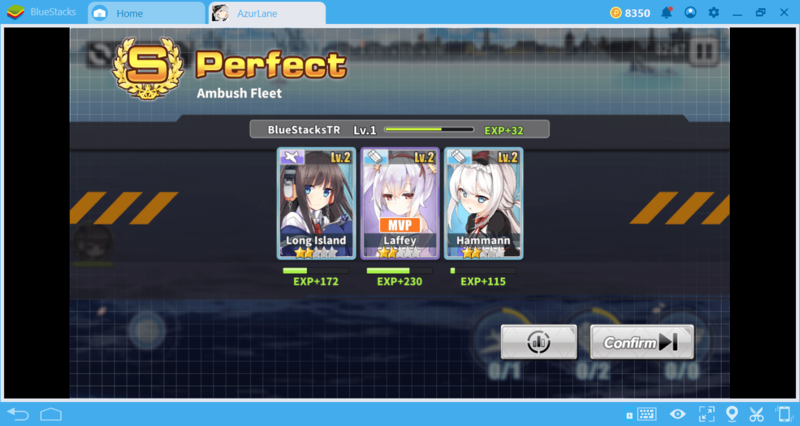 You cannot determine which ship will be the MVP, it is automatically determined by the game according to the damage rate. But here you may have an interesting problem: Main story missions are getting harder with each chapter, but your ships aren’t developing at the same speed. So after a while, you become unable to complete the story missions. 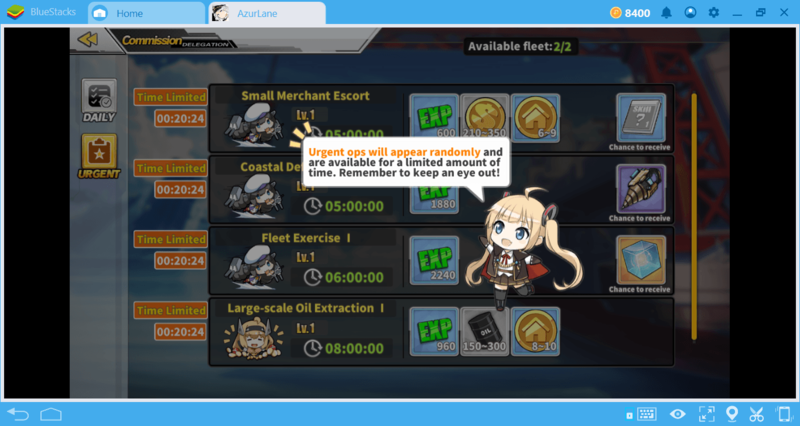 This is not a mistake, on the contrary, a special mechanic: Azur Lane wants you to do the missions you complete once more. This gives you two things: equipment and XP points that you can use to level up your ships. So you can still earn XP points by redoing a completed mission. In fact, you can even reach the last level by doing the same mission over and over again, as long as you have enough resources. Moreover, this is not a difficult job, because after finishing the first chapter, the “auto-battle” feature is unlocked. Using this feature, you can have your ships finish a battle or mission automatically. Using this feature won’t bypass the battle screen and show you only the result. You won’t be able to gain time, you have to play the whole mission again. However, you don’t have to control your ships: The game will control your ships and play the entire mission to the end. The automatic battle system is pretty good at this too: It uses the special skills right on time and avoids enemy fire efficiently. 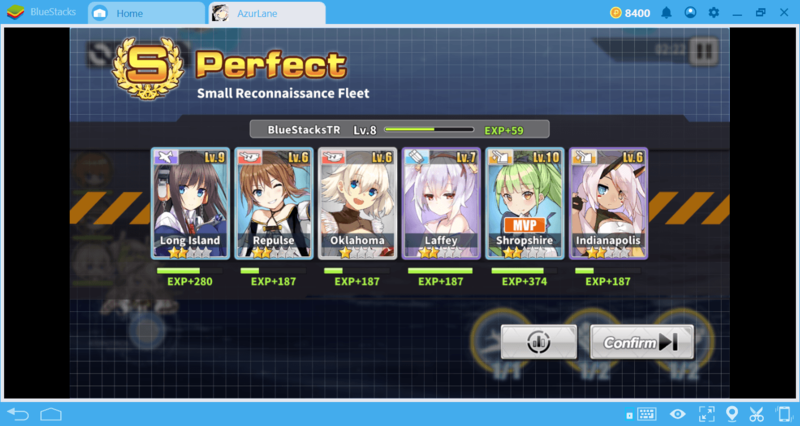 It’s time to use the advanced multitasking features of BlueStacks 4: While your ships are fighting automatically, you can continue surfing. In short, the first thing you need to do is to complete the main story missions and do the missions you completed earlier once again when things become harder. If you manage to do this without a break, you can reach the last level within a maximum of 12-13 hours, even with a casual play. (As long as you have enough oil, of course.) Moreover, by doing the things that we will explain below, it is possible to shorten this period further. But keep in mind one important point: If you use the same ships constantly, their mood levels will drop and you will get 50% less XP points. We mentioned this feature in our other guides. So do not forget to build more than one fleet, complete the missions by switching between the fleets, and send your ships with low mood levels to the Dorm building. Commissions are unlocked when you reach level 12. You can find them at the “Attack “screen. They are not usual missions and you do not need to manage your ships to finish them. Once you send them on a commission mission, you just wait for the results. If your ships meet the requirements, they can participate in commission missions ranging from 1 to 8 hours. In return, you will win gold, oil, wisdom box, loot box, and most importantly, XP points. In general, the longer the duration of a commission, the more XP points you can earn. Start 8-hour missions before exiting the game. 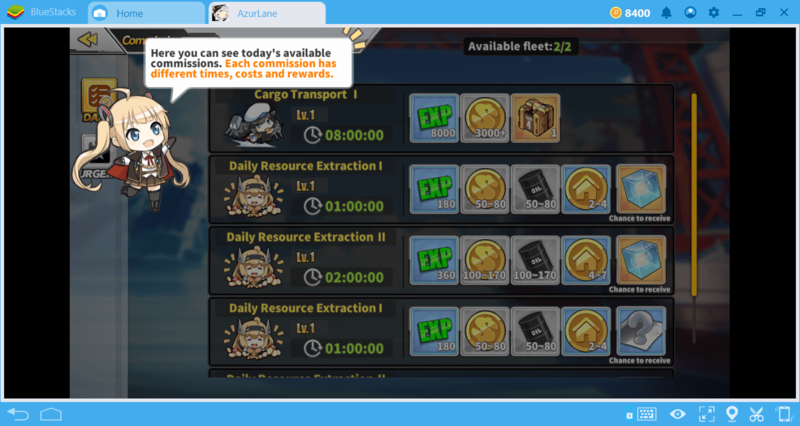 Create a second fleet to complete 1-hour missions, as the ships participating in a commission task are not available for main story missions before the task is completed. Using this feature, you can earn a significant amount of XP points. For example, an 8-hour task allows you to earn an average of 8,000 XP points. This means that you can gain multiple levels at once. Daily Ops tasks are another XP resource. These are similar to commission missions, but more difficult and most importantly, they have time limits. Each ops task remains active for an average of 20 minutes. So if you can’t start the task in that time, it will be deleted from your list. Ops tasks take between 5 and 8 hours on average, but provide more XP points. In this context, the most ideal method would be to create 3 fleets: Use one for commissions, the other for ops, and the other for main story missions. Before exiting the game every day, we recommend that you send your main story fleet to an ops mission. In the meantime, don’t forget to claim your rewards at every 10 levels. 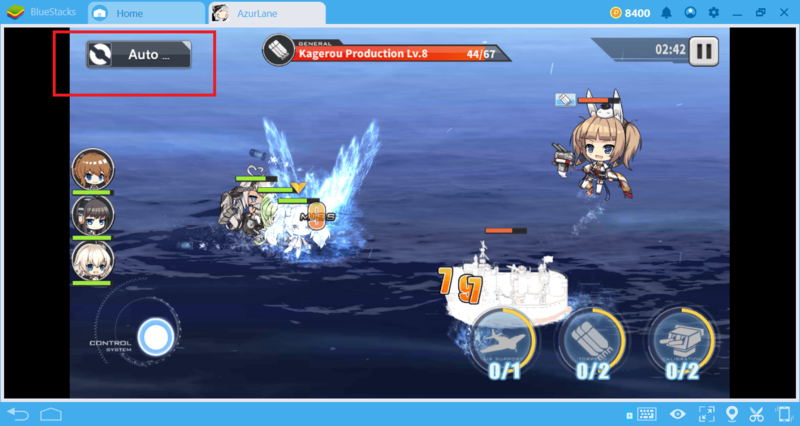 Now you know how to level faster in Azure Lane: By following our recommendations, it is possible to reach the end-game phase only in 10 hours or so. It is time to conquer the seas by using what you have learned. 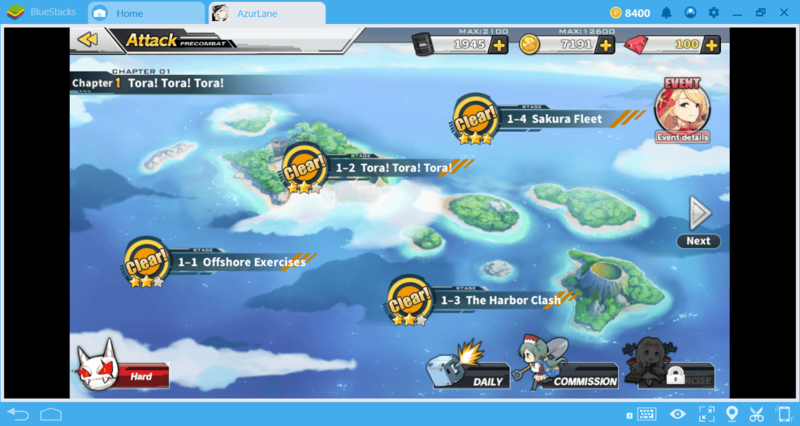 You can make your work much easier by reading the other guides we have prepared about Azur Lane. May the gods of Waifu be with you!